When I first started working in the restaurant business, several hundred years ago, the world was a different place. There were no chain restaurants, gastropubs or fast-casual establishments. In each major city there were a handful of “good” restaurants, and these were primarily French or Continental. They tended to be grand palaces of fine dining with flocked wallpaper, elaborate chandeliers and tuxedoed waiters dish, where customers could watch going up in flames. Those customers were very different as well: they were affluent, well-traveled and belonged exclusively to one social class. Ordinary people went to diners, as there were no fast-food outlets back then. Obviously, the interactions between clientele and staff bore little resemblance to today’s standards either. The upper-class individuals who formed the bulk of the business had a prescribed relationship to the help that resembled the traditional bond between master and servant. Both actors knew their roles. If the diners were important enough, even the maître d’hotel would be preening at their table. Middle-class individuals celebrating a special occasion would be immediately spotted and treated with condescension and disdain, since they were not part of the club. Today the distribution of wealth has made eating out an everyday occurrence for many of us, but the modern diner tends to be uneasy about how to relate to the help. 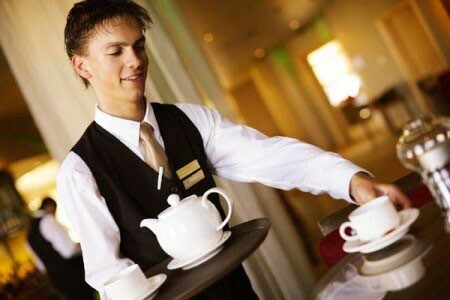 Never having had servants, they’re uncomfortable being served. This has led to several interesting mutations in the server-customer relationship. why is your server introducing himself or herself? What's behind Todd's burst of friendliness? Were there any other factors? Ah, yes---good service, but this was regarded as an incidental. To be fair, Todd’s personal introduction may be viewed as one of the few ways of leveling the playing field. Research also shows that more attractive females get larger tips, as do blondes or women with bigger breasts. 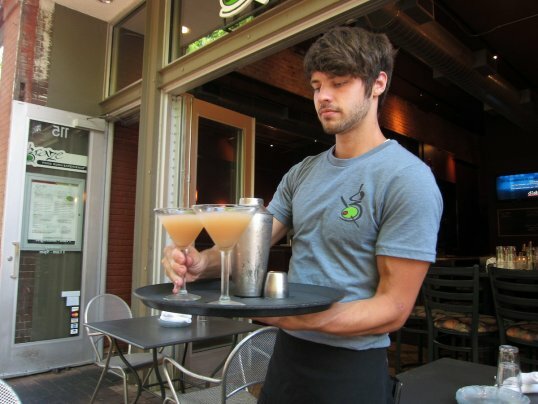 Tip size tends to increase as the size of a female server decreases. Women wearing makeup get higher tips from men, but not from other women. Friendliness may be poor Todd’s only means of survival. In my view, there’s a much deeper reason as well. Should anything go wrong during your meal (a glitch in the kitchen, an unforeseen accident), it won’t be your server’s fault. After all, he’s not your server---he’s Todd. By the time the misfortune occurs you know the names of his children, the fact that he’s supporting his mother or working his way through school, and all of that makes you far less likely to stiff him. No wonder Americans are befuddled when they go to Europe. In place of Todd’s congeniality, all they get is service. While there’s certainly an attempt at friendliness in Michelin-starred establishments, at the bistro level---which closely approximates the type of restaurant most of us visit regularly---plates are delivered and taken away without much fanfare. This leaves some tourists with the impression that the server doesn’t “like” them, when the reality is that he or she could care less. They’re just doing their job (and getting paid for it, since the tip is included in the bill). In the end, it all comes down to that pesky word: service. People are performing a service for you rather than auditioning for a role in your life; for that service, they should be compensated. I’ve often heard people say that a good server can “make or break” an evening, when the quality of the experience is actually the responsibility of the people having it. I also hear servers say that their goal is to treat diners as if they were guests in their own home. The only problem is that those folks aren’t guests in your home: they’re paying customers in your place of employment. Todd’s friendliness, the warm and fuzzy atmosphere that he creates, can be like an addictive drug. For many of us, it’s the only part of the dining experience we have left. Do you agree or disagree? 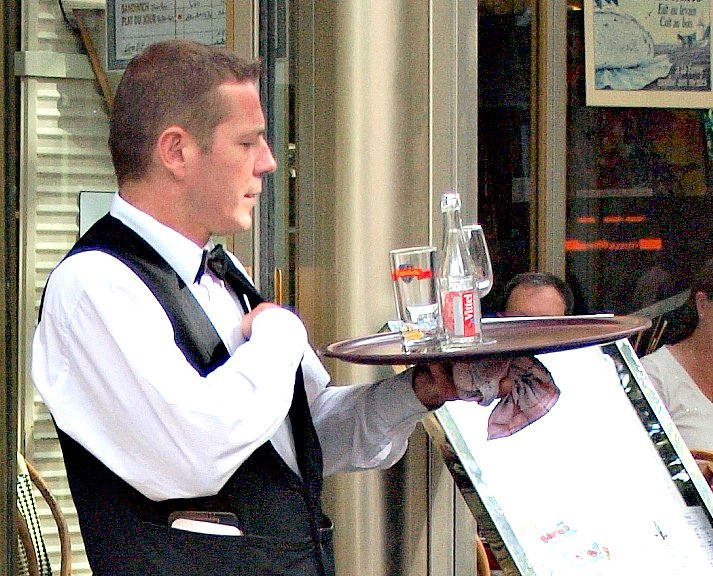 Do you like it when a restaurant server introduces himself or herself? Share your comments and insights with the community!